How are you all doing? I am very sorry for not replying promptly and not much updates for a while, I hope you are all doing great. I am doing great here, busily happy, contended and peaceful, but feel bad for all the delays and postpones, very sorry for all these... hoping and working on all the tasks and trying to catching up soon. Received some postcards and some gifts recently from my dear friends from France and the US, I am so grateful, thank you very much for the love. Heard there will be a Hurricane hitting New York these Sat and Sun, I wish all my friends and family are safe there. 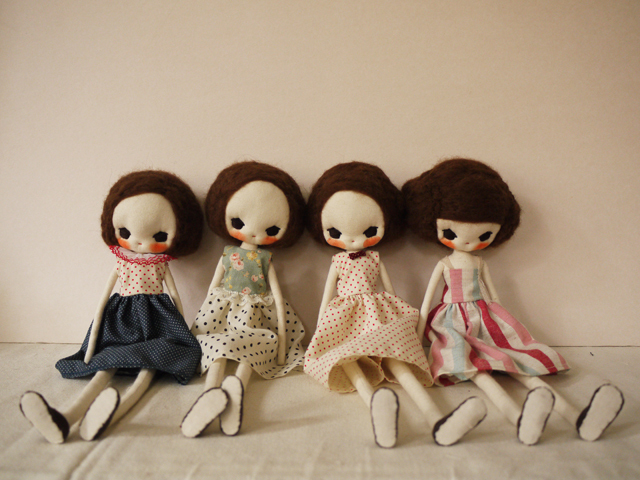 Hi, I'm a long time follower of yours and I've just got to say that I adore your dolls. They are always an inspiration to me. I can't wait to see more! Dearest sweet Mei Ying, it's always lovely and inspiring to see your new work! So happy to know you are doing great! 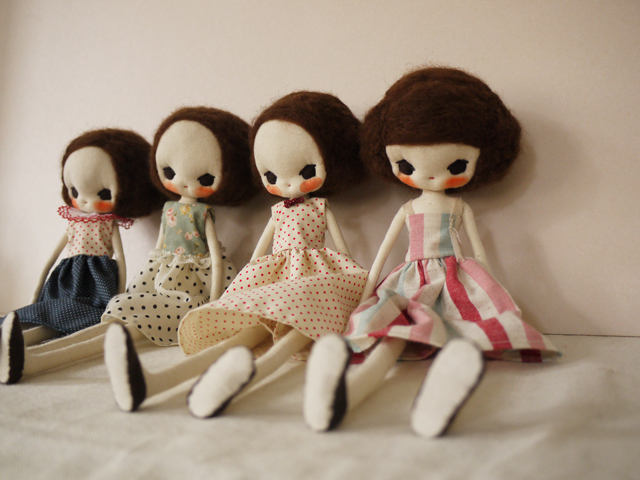 These dolls are absolutely gorgeous! Have a lovely merry happy sunday sweet friend and love to you!